So, the in-laws are coming into town this weekend. Luckily, they’re not staying with us (not that I don’t love them or want them to, just that we don’t really have sleeping areas for other people yet). They’re here for a legal conference that my FIL is attending, so they’re staying at a swanky (there’s a Mad Men-esque word for Crystal!) golf resort in town. As they are the first extended family members to see the house, let me give you an update on what I’ve done so far. 1) Hired handyman to fix broken step. 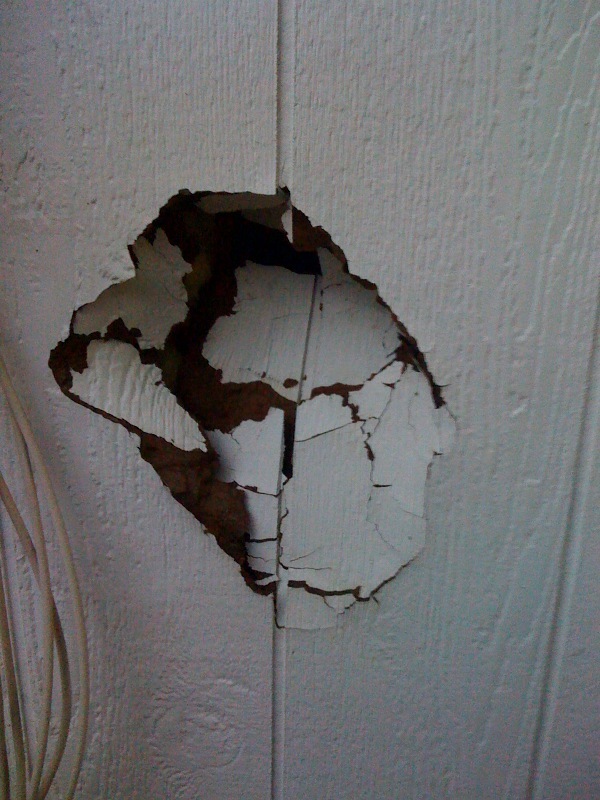 2) Hired handyman to fix hole that some psycho punched in outside wall of house (yes, really). 4) Primed one bathroom (no photo of this as it looks embarrassingly bad). 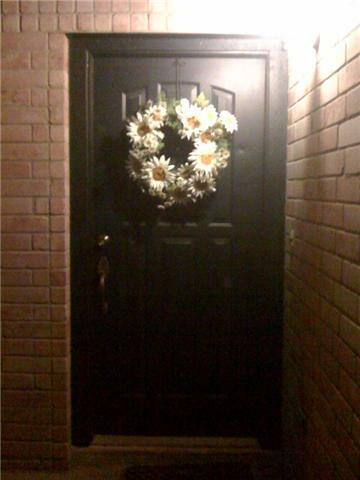 5) Hung wreath that in-laws gave us on door to welcome them when they arrive! And, yes, that would be all. I don’t mean the normal putting things away stuff that all civilized human beings do when they move into a house (although…that’s not all done yet either). I mean, the major things that I want to do to make the house my own. How in the world do people find time for all these things? I have a job, I have a 30-minute each way commute and I have a mandatory workout everyday (I have to bike 3,000 miles by the end of this year). When those things and making dinner are done, where does all the rest of the time go? This entry was posted in The Casa, The Family. Bookmark the permalink. If you come up with a way to have more time, let me know. 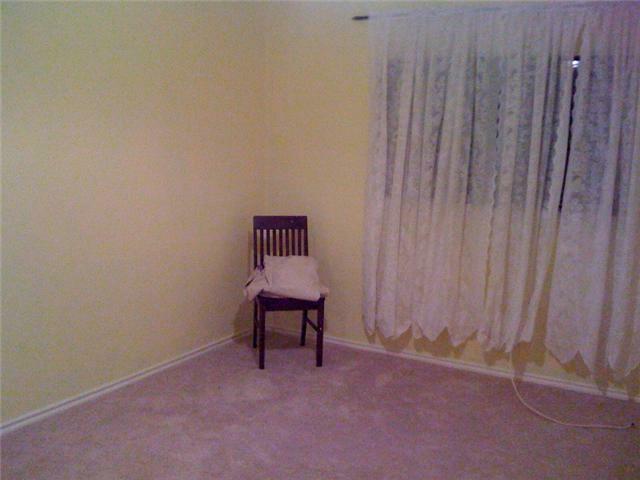 We still have three rooms in our house that aren’t painted or furnished. I haven’t found the time to come up with a color scheme, paint the walls and shop for furniture and accessories. We just keep the doors closed to hide the piles of miscellaneous junk that we’ve stashed there, but I can’t do that forever. BTW, I like your wreath. It adds some personality to the door. I need to get one for our front door.